The Home Equity Conversion Mortgage (HECM) is the only reverse mortgage insured by the U.S. Government. 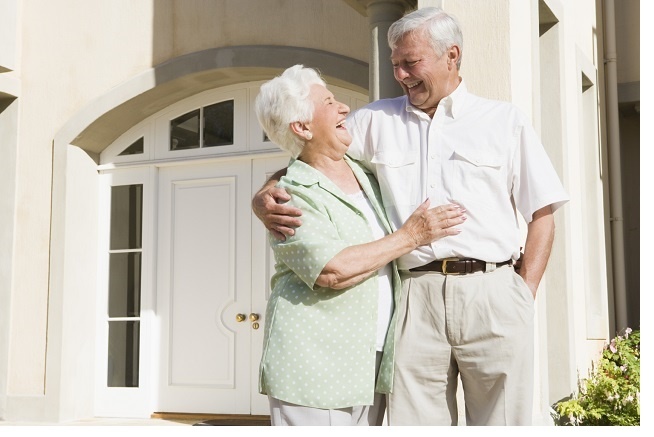 This program allows senior homeowners to convert a portion of their home equity into cash. Equity is the current cash value of a home minus the current loan balance. This program does not require you to sell your home or take on additional monthly debt payments. The funds received can be put towards anything the homeowner desires. They can receive these mortgage funds all at once, in monthly advances, through a line of credit, or any combination of these. Get started by using a reverse mortgage calculator to see if enrolling in the program would be advantageous. While the HUD does not enforce a minimum amount of equity, borrowers can only secure a reverse mortgage if the funds from the transaction are sufficient to pay off the original mortgage. Applicants do not need to conform to any income guidelines since the value of the loan depends on the value of the home, rather than income. However, the homeowner must have adequate income to pay property taxes and insurance.They may use the reverse mortgage to supplement their income. Unlike traditional mortgages, reverse mortgages never require that owners make monthly payments. This prevents them from facing the threat of default or foreclosure. Reverse mortgages do not put borrowers at risk of losing their homes, which makes them a safer option than Home Equity Loans. A reverse mortgage is a non-recourse loan. This is beneficial because it means even if the value of the home decreases, the borrower will never owe more than the value of their home. With a traditional mortgage, home condition terms are nonexistent after the home is purchased, and homeowners are not obligated to keep their homes in good condition while paying off the mortgage. For qualifying seniors of reverse mortgages, however, homeowners must maintain the home in good repair since the lender wants to guarantee that the house retains its market value. The homeowner is still responsible for paying property taxes, utilities, and hazard and flood insurance premiums. Lenders handling reverse mortgages will collect the loan balance once the home is sold or the mortgage holder passes away. Reverse mortgage lenders must keep the loan balance plus interest under the value of the home to avoid losing money. No assets other than the home must be used to repay the debt. Borrowers with traditional mortgages must make a down payment on a house and assume a mortgage loan to cover the remaining funds. By making monthly payments, the borrower accumulates equity in the home, working toward full ownership. Reverse mortgage borrowers already own the property and instead begin to withdraw money that represents the home’s accumulated equity. Seniors with traditional mortgages must pay monthly interest fees in addition to mortgage payments. Conversely, reverse mortgages require no interest payments until the borrower no longer lives in the home, instead of accumulating and compounding over the loan term. Both traditional and reverse mortgages have fees for qualification and approval costs. The homeowner may have to pay mortgage insurance premiums. Reverse mortgages may also include a servicing fee for seniors who choose to have their reverse mortgage equity paid in monthly installments or made available as open credit. The homeowner can get these charges financed or pay for it using the proceeds from the loan.